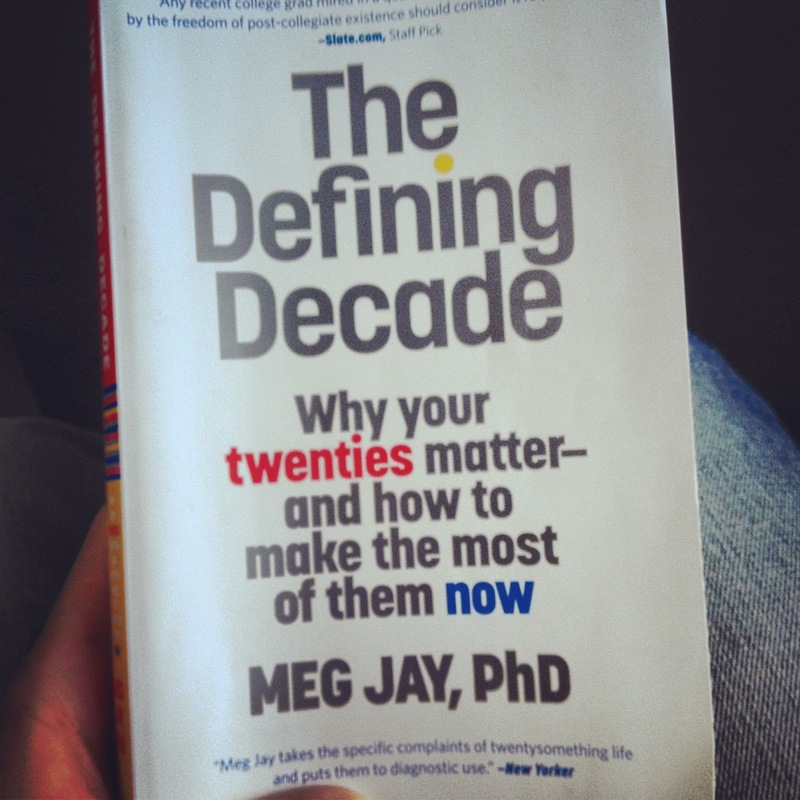 For any twenty-something who has ever questioned his or her path, I strongly suggest you read The Defining Decade by Meg Jay. I bought the book on Monday, and I happily finished it today. The book left me with the idea that none of us are truly “living it right,” and that we will not know the verdict of our own lives until it comes towards the end of it. We can, however, learn from our predecessors, cherish the time we have, and plan for many possible verdicts, and even predict some of our checkpoints along the way. Too often, people in my age bracket waste time, thinking that the twenties are freebie years. They’re not; in fact, they are quite the opposite. The twenties, in my opinion, are for purposeful exploration. While they may be a time to make mistakes, they are more so a time to learn from those mistakes in an effort to help plan for the future.